J. Leeds Jewelry | You Dream it, We Make it. You Break it, We Fix it. John's work is displayed at shows around the country. 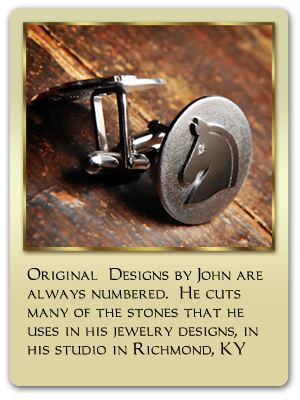 John "Johnny Rocks" Leeds, owner and operator of Leeds Fine Jewelry, is a designer and promoter of his own personal line of Acid Etched jewelry, unique Kentucky Agate jewelry and products, and other distinctive jewelry pieces that really stand out to the beholder. 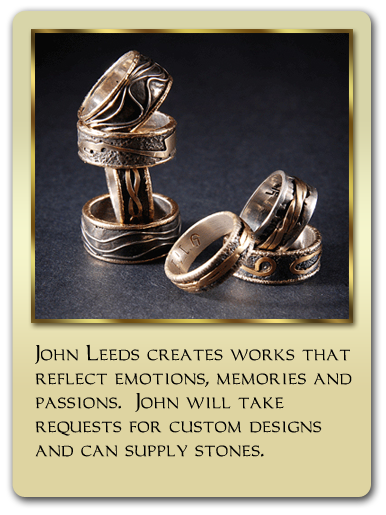 John creates works of art that reflect emotions, memories and passions. John also creates works of art other than jewelry such as his latest sculpture of a 9 hole golf course made entirely of Sterling Silver and Gemstones. 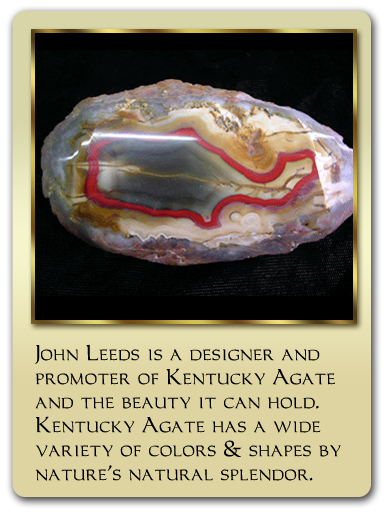 Leeds Fine Jewelry is a World Leader in Kentucky Agate Products!